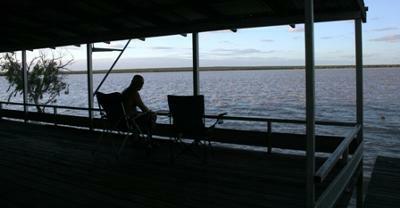 Lake Dunn is close to Aramac and there is a great camping ground next to the lake, for $10 a night per vehicle. There is nobody there but the land owners will come and have a beer and chat and pick up the fee. There are showers and toilets and power too. The lake is nice for yabbying and fishing and there is some nice bird life around. We stayed a few nights and it was great.